Looking for a stem cell book that is clear and tells the real story of stem cells? Take a look at my book, Stem Cells: An Insider’s Guide. It is a broad look at the exciting stem cell field, warts and all. I’ve written about the types of stem cells, what goes on in research labs studying these cool cells, biotechs in this area trying to develop safe and effective regenerative medicine products, stem cell clinics, the FDA, and more. “Are Stem Cells a Drug? 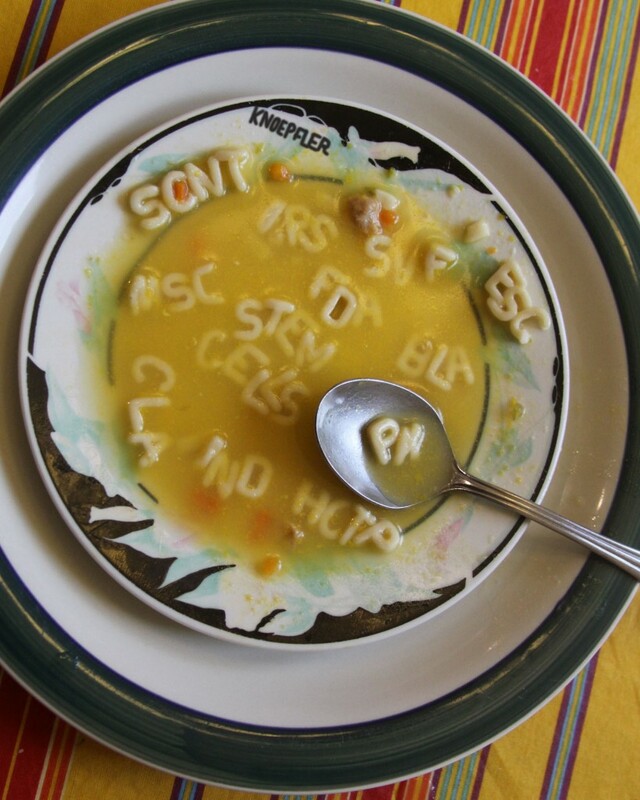 One fun topic in the book is deciphering the stem cell alphabet soup of acronyms out there (see pic above). If I have time I plan to do a second edition of the book to update certain parts to what is going on now as this field changes very quickly. If you really want a signed copy, order it and we’ll find a way to make it happen. You can buy it here from the publisher. If you prefer you can buy it at Amazon or for Nook/Barnes & Noble. I am interested in finding out more information about stem cells and ways to get them as a therapy treatment. Both of my children have the HLA-B27 marker and the horrible symptoms and diseases that come with it; AS, Dysautonomia, JHMS, IBD. Fetal stem cells was the only thing that helped them. i am always wondering to know more about stem cell and build a career. please let me know about business plan regarding stem cell. I would like to know about CKD patients treatment for stem cell therapy in USA Florida I have stage 3 kidney problem. Looking for a stem cell treatment to cure this. Editor’s note: contact info deleted b/c of concern that predatory clinic will contact patient.